How Long Does a Facelift Last? Top 10 Factors - Patrick Sullivan, M.D. First, it is important that the facelift done is of extremely high quality artistically, anatomically, and functionally. The result should be a beautiful enhancement, where the face moves naturally and the smile is perfect. It should not appear as though you had surgery or look operated. People should notice how wonderful you look, that you’re “well rested”, and your outer appearance will match your inner feeling of youthfulness. Patients never have to worry about looking “weird” after surgery with Dr. Sullivan’s approach. It is also important to note that lifting the soft tissue and skin of the face is just one part of the rejuvenation process. 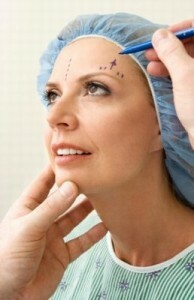 A facelift will not last as long if only a skin lift is done and will most likely lead to an unnatural, operated look. With Dr. Sullivan, the tissue is layered in order to sculpt the face and bring a more refreshed and attractive appearance. Ideally, facial rejuvenation should address all of the individual facets of aging a person experiences. The treatment is carefully planned for each patient’s unique appearance. If the unique characteristics of your natural aging process are properly addressed, your facial rejuvenation will last longer. Loss of volume in certain areas of the face (known as facial deflation) is one of the major factors with aging. How this loss of volume is addressed during the rejuvenation process determines how long the facelift will last before additional filling may be needed. Learn how Dr. Sullivan specifically targets facial deflation. Other aging factors are fatty deposits around the mouth, jawline (jowls), and in the neck. Many facelift techniques lift but do not effectively remove the fatty deposits and they return prematurely, especially around the jaw and mouth. The quality of the procedure and how these areas are being addressed plays a big role in the longevity of your results. Genetics can play a roll in: People often say, “I’m beginning to look like my mother”. Deflation, loss of neck contour, and fat deposition often run in the family so there will be a tendency for them to occur, giving a defined or square-faced look. We may inherit certain factors that cause us to age more quickly. Stress: Going through a stressful situation, especially over a long period of time, will definitely accelerate the aging process and determine how long the facelift lasts. The same goes for an illness. The skin and its quality plays an incredibly important part on how long a facial rejuvenation lasts. Smoking and environmental factors, like sun exposure, can also significantly accelerate the aging process and shorten the longevity of a procedure well done. Patients tell us our facelifts and rejuvenations “turn back the clock”, allowing them to physically look like how they’re feeling on the inside. What they see in the mirror finally matches their inner youthfulness. Maintenance is performed based on each patient’s desires. There are many ways to keep your face, neck, and eyelids looking fresh – it all depends on what you’re looking for. Contact Dr. Sullivan’s office if you have any questions about the procedure and/or would like to set up a consultation.